What is RIGHT HEART FAILURE? The right heart fails to function correctly. The right side of the heart (right lower heart chamber) is unable to effectively pump blood, which returns to it via large veins (superior and inferior vena cava) from the rest of the body, through the lung circulation to the left heart chambers. 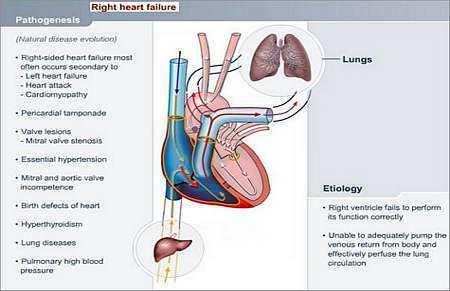 Right heart failure mostly occurs as a consequence of left heart failure. Pain and swelling of the abdomen, which may be caused by an enlarged liver (the liver may feel firm and tender), congested veins inside the liver, or ascites (accumulation of fluid in the abdomen). ECG: Assessment of electrical activity of the heart. May show right ventricular strain pattern. X-ray of the chest: May show congested veins in lungs. X-ray of the abdomen: May show an enlarged liver, or fluid in the abdomen (ascites). Sonar of the heart: To assess heart size and lesions. Heart catheterisation: May be done to examine coronary blood-flow, and rule out valve and wall lesions. 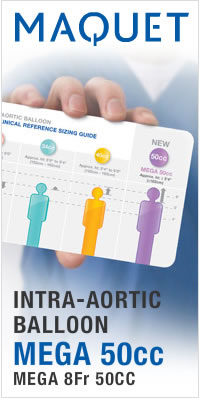 Medication includes Diuretics, Digoxin, Vasodilators or Inotropes (drugs that enhance heart muscle contraction).